The two most important characteristics of creating a great tasting pie are the filling and the crust. For the filling, fruit is mixed with sugar, cinnamon, honey and other spices (depending on the type of filling) in a large sauce pan. Ingredients are heated and mixed to combine the flavors for the filling. This process requires automation components such as VFDs in large electrical control panels to operate the system. Heat is a by-product of this process and Pfannenberg's PWS Air to Water Heat Exchangers are ideal for cooling electrical components. 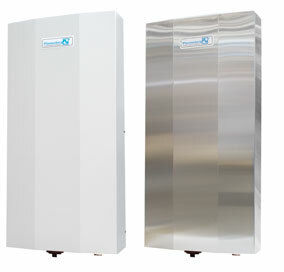 Pfannenberg's Air Water Heat Exchangers utilize chilled water, that is readily available, and an internal fan to provide cooled air preventing critical electronics from overheating. These units are particularly adapted for harsh environments like bakeries when there’s flour everywhere. 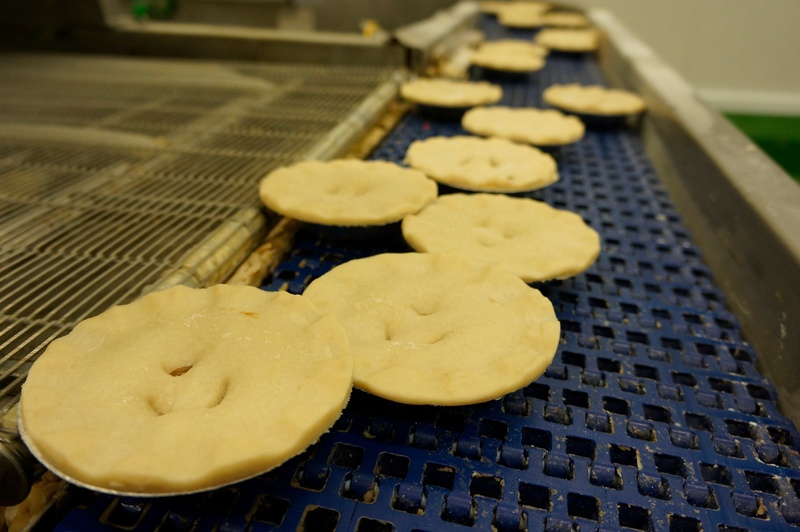 These pies are then moved to the depositing machine, where the filling is then dropped into the pie sheets. The lid of crust is then placed on the filled fruit pie. These lids are mass produced and “forked” or sealed to give that touch as if it was just like our mothers or grandmothers homemade pie. These top crust lids help seal in the filling when the pie is being baked at home. Once sealed, the pies are moved to a blast freezer for rapid chilling. Once chilled the pie is then moved to be packed and shipped off to local grocery stores.To make that flakey-buttery crust, shortening, flour, and other ingredients are mixed together in a large industrial mixer. When the dough is done being mixed, the dough is compressed into equal sized squares and dropped into baking pie sheets. Here, they move along the process and the dough squares are pressed down on the pie sheets to form the bottom crust layer. 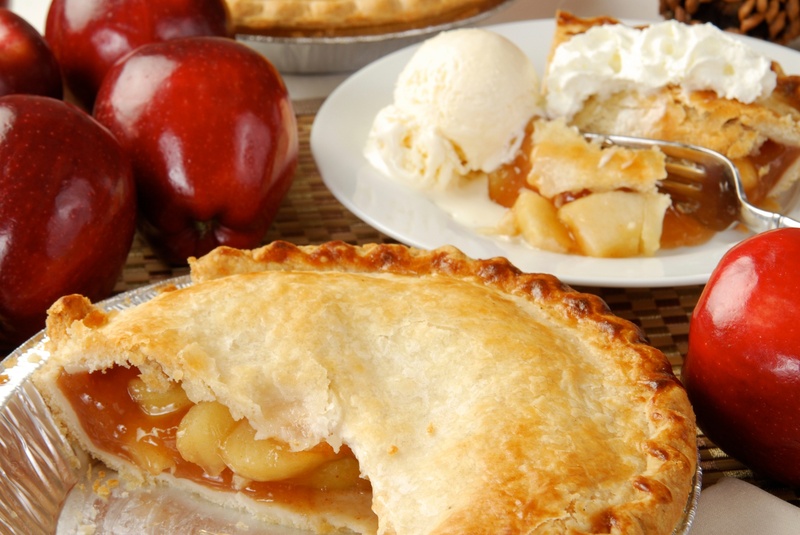 The manufacturing processes of frozen pies are a delicate procedure. Temperature control of the equipment and the product is important to producing a flavorful, flakey, and scrumptious pie crust. So what will it be? One slice or the entire pie? Ice cream or whipped cream? Next time you are enjoying a piece of pie, be sure to appreciate the process it takes to produce such a delicate indulgence! Click Here to download the Bakery Air to Water PWS Case Study. Join us at ProFood Tech 2017 which will take place in Chicago, IL from April 4-6, 2017! Be sure to stop by Booth #1847 to learn more about our products! Be sure to follow our Food and Beverage LinkedIn Showcase Page!